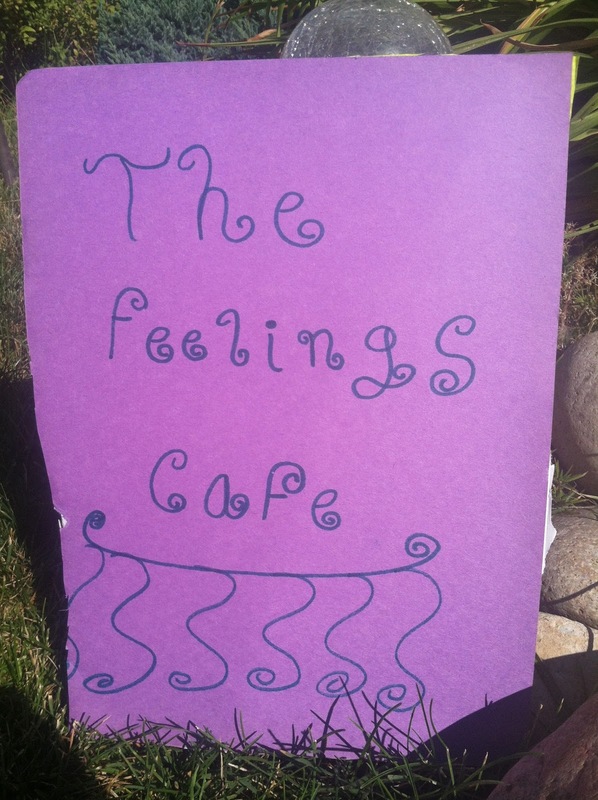 ....have a seat and welcome to The Feelings Cafe! So, sometimes I prompt my client with an activity and they run with something all their own. I cant even remember what the starting activity was--but, my client decided making a menu for a restaurant, whose food was made out of nothing but feelings, was a great idea. And so did I! This is (another) simple activity...get out your construction paper and something to draw with and have them go to town. Anger sandwiches is a great starting point (oh YEAH! that was the activity I started with here!) 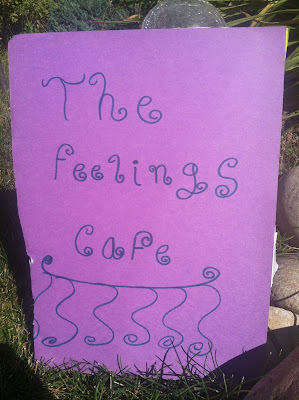 as the theme is the same, how feelings have a whole lot of layers! 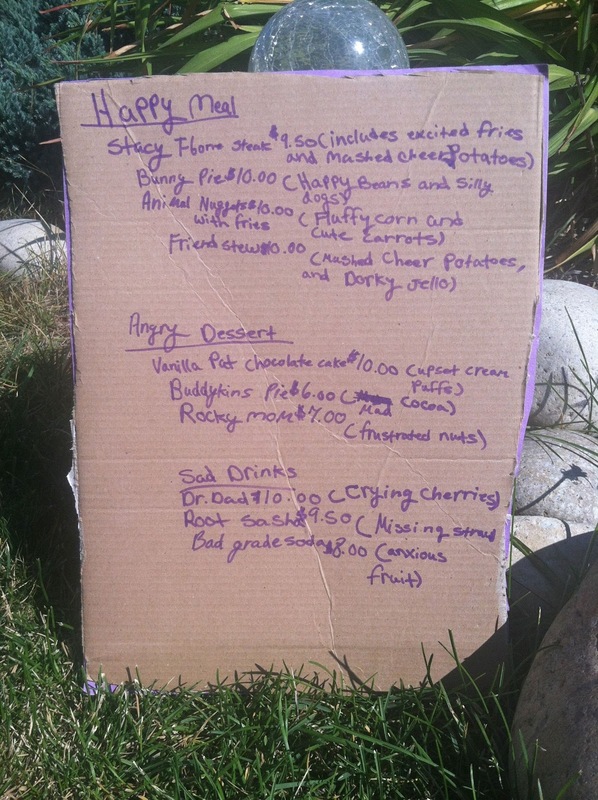 This client took three feelings (as you can see) and created food items from situations/people in her current life which trigger that feeling. She then broke them up into other feelings that go along with that item. These kids are amazing I tell ya!